Pseudomonas fluorescens are Gram-negative rod shaped bacteria that inhabit soil, plants, and water surfaces. The optimum growth temperature is between 25-30 degrees Celsius . The Pf-5 strain resides in the plant’s rhizosphere and produces a variety of secondary metabolites including antibiotics against soil borne plant pathogens. Pseudomonas fluorescens PFO-1 is well adapted to the soil where it was first isolated in agricultural soil. Pseudomonas fluorescens strain SBW25 grow on plant leaves and roots where they can contribute to plant growth. 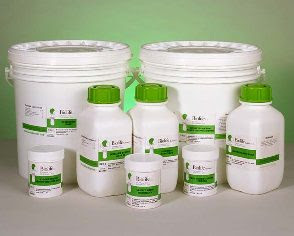 Soluble, green fluorescent pigments are produced when the iron concentration is low. The significance of these organisms have increased because of their ability to degrade various pollutants and their use as bio-control against pathogens.Sequencing the genome provided further information of its environmental interaction ands its metabolic capabilities, which can be used against agricultural disease control. Pseudomonas fluorescens is interesting and important to study because it produces a particular antibiotic (Mupirocin) which has been proven effective in treating certain kinds of skin, ear, and eye disorders . Currently, two strains of Pseudomonas fluorescens have their genomes sequenced completely. P. fluorescens Pf-5 genome contains one circular chromosome that has 7.1 Mbp and a GC content of 63.3%. It contains 87 RNAs and 6137 proteins. 5.7% of its genome contributes to secondary metabolism which is the largest of the pseudomonas. The genome of Pseudomonas fluorescens PfO-1 has one chromosome with 6.43841 Mbp and 60.5% GC content. There are 95 RNAs and 5736 proteins. The genome sequencing of P. fluorescens SBW25 is still in progress. Pseudomonas fluorescens is a aerobe and is oxidase positive. It is unable to grow under anaerobic conditions when placed in the anaerobic. Some strains can use NO3 instead of O2 as the electron acceptor. These microbes possess multiple polar flagella for motility. Pseudomonas fluorescens also used siderophores to satisfy the need for iron. This bacterium produces the siderophore pyoverdine which is responsible for chelating iron only when concentrations are low. This siderophore is responsible for the fluorescence of Pseudoonas fluoresecens. This explains why the fluorescent pigment is only produced when iron concentrations are low. When iron concentrations are high, pyoverdine is not needed so colonies will not fluoresce under ultraviolet light. Strain Pf-5 possess many extracellular hydrolytic enzymes that degrade polymers found in soil as well as hydrolases used on plant-derived carbohydrates. They are also capable of degrading and using components of plant tissues such as hydrocarbon molecules, fatty acids and oils. Pseudomonas fluorescens produces viscosin which is a peptidolipid that enhances antivirality. They also use a sulfate transport system that is competitively inhibited by chromate, which may be associated to P. flurorescens's sensitivity to chromate. P. flurorescenscan produce certain enzymes such as heat stable lipases and proteases which are involeved in the spoiling of milk. Pseudomonas fluorescens are commensal species with plants, allowing plants to attain key nutrients, degrading pollutants, and suppressing pathogens via antibiotic productions. These microbes produce secondary metabolites that suppress plant disease and signal gene expression to neighboring cells inhabiting the rhizosphere. Pseudomonas also use siderophores from other microorganism to obtain iron which increases their survival in iron-limited environments. Plants provide these organisms with nutrients and shelter against stressful environments. One of many byproducts of plant cells include active oxygen such as superoxide which are toxic to microbes. Rhizosphere bacteria such as P. fluorescens possess superoxide dismutases to convert superoxide to hydrogen peroxide and catalases to convert peroxide to water. The presence of these enzymes contribute to Pseudomonas fluorescens’s tolerance to oxidative stress. Despite their commensal nature, Pseudomonas fluorescens are nonpathogenic and lack virulence factors of other plant pathogens. In Pseudomonas fluroescens Pf-5, enzymes that degrade plant cell walls and their components such as cellulase, pectinase, or pectin lyase are not present. However, it is capable of breaking down some plant-derived carbohydrates, fatty acids, and oils and can hydrolyze proteins causing the spoilage of milk, meat, and fish. It has also been found to be an opportunistic pathogen in immune compromised fish like Koi which are commonly kept in backyard garden ponds. 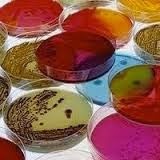 There are other species of Pseudomonas that are pathogens. Pseudomonas syringae is a plant pathogen that impacts food and biomass production. Diseases include bacterial specks on tomatoes and leaves which result in stunted growth and halo blight of beans. These microbes can spread by rain and are seed-borne pathogens. Although Pseudomonas fluorescens typically has a low level of virulence, in 1997 four patients at the National Taiwan University Hospital developed Pseudomonas fluorescens bacteremia. These patients had been treated in the chemotherapy room and had begun exhibiting symptoms such as fevers and chills. Eight cultures were isolated from catheters and from the blood of the four patients. All isolates were identified as Pseudomonas fluorescens . Pseudomonas aeruginosa are opportunistic human pathogens that are one of the main causes of human infections. These microbes live in diverse environments including soils, marshes, as well as plant and animal tissues, which show their nutritional versatility. Their resistance to antibiotics have made them dangerous pathogens. Pseudomonas aeruginosa are commonly seen in the lungs, especially those with cystic fibrosis. They are also present in urinary-tract infections, burn victims, and patients on respirators with hospital-acquired pneumonia. Studies done on Pseudmonas fluorescens have shown the microbe’s potential benefit in bioremediation against several strains of plant pathogens. The results of the experiment showed that at high concentrations all five strains of Pseudomonas fluorescens tested inhibit spore production by pathogenic plant fungus. Fungi such as Alternaria cajani and Curvularia lunata grow on plant surfaces causing disease and death of the plant. 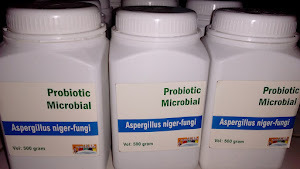 Plant treatment with Pseudomonas fluorescens can prevent these fungi from growing and spreading through spore production. Pseudomonas fluorescens grows at an optimum temperature of 25 degrees Celsius but can also survive in temperatures as low as 0 degrees C. Therefore, it is rarely pathogenic in humans making it an effective microbe for treating crops since it is not able to survive in the human body. Pseudomonas species are effective against mold causing disease in produce such as apples and pears. This and further studies of Pseudomonas fluorescens will determine its effectiveness an alternative to chemical fungicides. Production of secondary metabolites play an important role in plant disease suppression. Antibiotics such as pyrrolnitrin, pyoluteorin, and 2,4-diacetylphloroglucinol that inhibit phytopathogen growth are produced by Pseudomonas fluorescens Pf-5. Diseases from Rhizoctonia solani and Pythium ultimum that affect cotton plants are inhibited by this strain. Pseudomonas fluorescens produces hydrogen cyanide and the siderophores pyocheline and pyoverdine which it uses to outcompete with many pathogenic bacteria for iron necessary for growth and suppress pathogens in the rhizosphere. The bacteria's degrading ability has been applied to pollutants such as styrene, TNT and, polycyclic aromatic hydrocarbons. Pseudomonas fluorescens produce exopolysaccharides which are used for protection against bacteriophages or dehydration as well as for defense against the host immune system. Polysaccharides are being used within the food, chemical, and agricultural industries. A copper-transporting P1-type ATPase (CueA) in the genome of Pseudomonas fluorescens SBW25 was investigated for its significance in copper homeostasis and plant colonization. The transcripton of cueA was induced by copper, silver , gold, and mercury ions by using a CueA-lacZ fusion. A nonpolar CueA deletion mutant that reduced its tolerance to copper by twofolds compared to the wild-type strain was also created for this experiment. 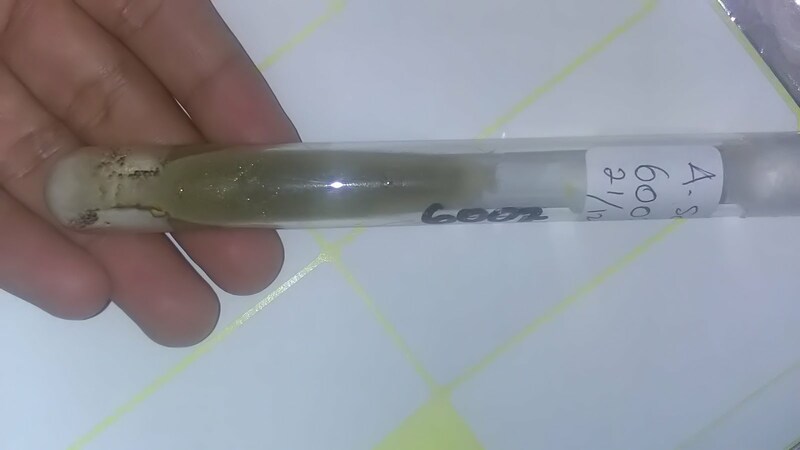 This mutant did not show any change to its sensitivity to the gold, silver, and mercury ions. Its competitive ability was investigated by placing the mutant strain in three different environments which were a minimal M9 medium, the root of sugar beet (Beta vularis), and the root of pea (Pisum sativum). Change was not observed in the laboratory medium but were seen in the roots. This showed that CueA took part in copper homeostasis and contributed to bacterial fitness. 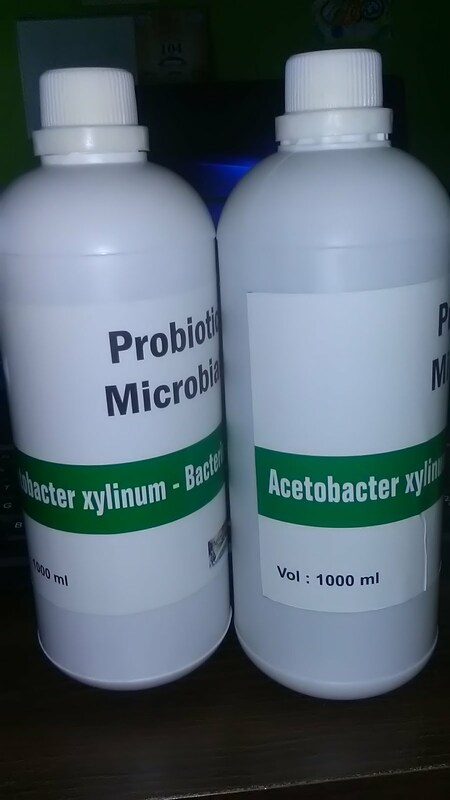 1-aminocyclopropane-1-carboxylic acid (ACC) deaminase from Pseudomonas fluorescens was studied against saline stress in groundnut (Arachis hypogea) plants under in vitro and field conditions in which four plant growth-promoting rhizobacteria (PGPR) were used. The TDK1 strain was among the four and showed the most improvement in plant growth of the groundnut seedlings under in vitro conditions. Biochemical and molecular (PCR) analysis showed that strain TDK1 had the greatest ACC deaminase activity so it was isolated, cloned, sequenced, and tested under saline-affected soils in groundnut plants. Results showed improvement in yield even in the presence of saline. Therefore, Pseudomonas fluorescens strain TDK1 that contained ACC deaminase had increased yield by enhancing saline resistance. 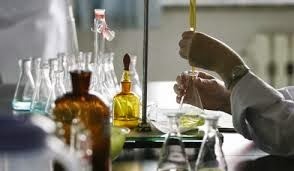 Using a universal Chrome Azurol S(CAS)-agar plate method, Pseudomonas florescens strain sp-f was isolated. Due to its nature of siderophore overproduction, experiments were performed to investigate the relationship between siderophores production and its growth. Siderophore production reached a peak during the prophase of logarithmic growth, then was stable during the stationary phase. From RP-HPLC analysis, three kinds of chatecholate siderophores were shown. While the excretion of non-fluorescent pyoverdin siderophores was induced by the 200 micromol/L Fe2+ in the medium, the excretion of fluorescent pyoverdin was completely repressed. Pseudomonas fluorescens produces an antibiotic called Mupirocin. A study was conducted with forty-five children who had MRSA infected burn wounds. MRSA was identified in the burn wounds of all forty-five children before the treatment began. A topical Mupirocin ointment was applied to the burn wounds twice a day and over a period of five day. The wounds were assessed daily. At the end of the clinical study, MRSA was eliminated in all 59 wounds. This study shows the great benefits of Mupirocin, especially against MRSA which is extremely resistant to a variety of antibiotics .